Home prices in the District are up 47 percent from the height of the recession and what little hits the market continues to sell quickly. 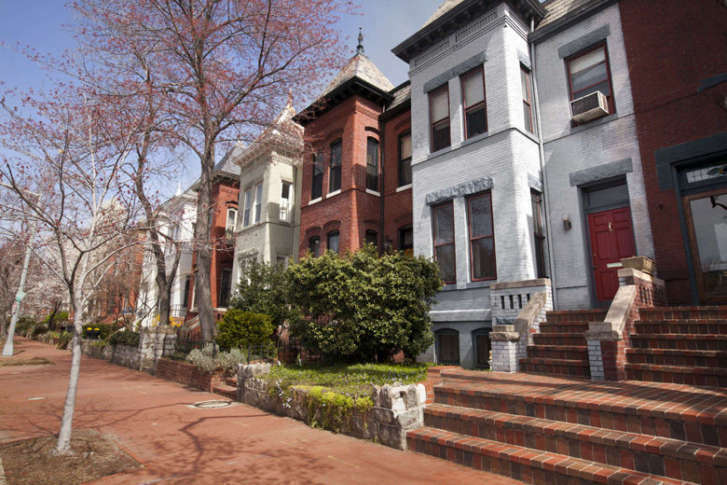 Real estate experts described D.C.'s market as "an extremely tight seller’s market." WASHINGTON — Home prices in the District are up 47 percent from prices during the height of the recession and what little hits the market continues to sell quickly. The median price of a house or a condo that sold in the District in October was $550,000 — up 1.3 percent from a year ago and the highest October level on record, according to the Greater Capital Area Association of Realtors. That is good news for sellers, and more owners are listing their properties for sale. But the pickings remain slim for potential buyers. The number of new listings in D.C. in October was up 18.9 percent from October 2016 and above the five-year average for an October. Total listings were up 16.1 percent, but supply remains scarce relative to demand. The 1,595 active listings in the District in October represent just a 2.2 month supply. What goes on the market in D.C. sells quickly. Half the homes sold last month were on the market nine days or less before contract, which is three days quicker than a year ago. The GCAAR describes the District’s housing market as “an extremely tight seller’s market,” currently. 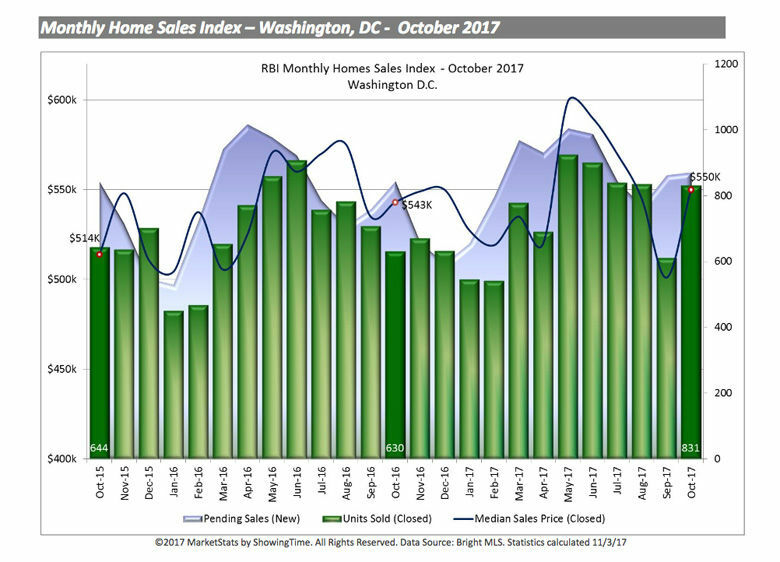 While $550,000 set a new high for median selling price in October in D.C., prices in D.C. peaked this year in April, with the median selling price just above $600,000, according to data from real estate listing service Bright MLS. Median prices in the District during the recession bottomed out in 2009, at $374,000.